While “low-cost” Spirit Airlines may be leading airlines on a race to the bottom (with “optional” fees like the mandatory $2 Unintended Consequences of DOT Regulations Fee or mandatory $10 ticket booking fee), Alaska Airlines will soon become the first airline to charge first class passengers to check their bags. This is not a good sign. Starting on July 10th, Alaska will charge non-elite passengers who have upgraded to first class (those booked into U-Class) $20 to check a bag. That affects my dear parents, who will be traveling to DCA on Alaska this fall. It also takes the “first” out of first class. While this new policy will not affect first class award tickets and could have been worse, the nickel and diming has begun for first class passengers and the ramifications could be bad. 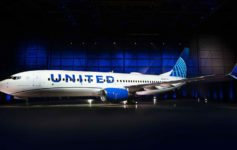 With United recently matching Delta’s $100 charge to check a second bag on international flights, we are already seeing airlines attempt to squeeze more incremental revenue out of tickets. The problem is this move will drive even more carry-on baggage aboard airplanes. As the TSA loves to remind us, this slows down the faux-security screening process and there is no question the flurry of carry-on bags dragged on to each flight dramatically slows the boarding process and almost de facto forces the poor schmucks with higher boarding zones to gate check their hand baggage. Airlines have to know what is going on and I know for a fact they are scrutinizing Spirit Airlines very closely. Mark my words–as early as 2013 we may see additional airlines begin charging for carry-on baggage (much to Senator Schumer’s chagrin). An unfortunate and logical step in airline management. When one hasn’t the ability to create (corporate growth), then take from someone else (ye olde consumer). Those of us fortunate to fly premium know that domeestic F is hardly great – just really expensive in miles or cash money. What AS is really doing is decreasing the value of loyalty in quite a subversive manner. Without getting really technical, the latest AS fee move just opens the door to charging ALL F customers for bags, then (or already) MVP’s, then MVP gold, etc… Why leave cash on the table when you can value loyalty, right? It’s simple. Alaska is turning “upgraded” first class passengers into second class citizens. This is no way to treat loyal customers! I’ve had it with this nightmare of rising fees for no extra service. I am mad as hell about being squeezed for more and more money because the airlines know they can just get away with it. I’ve decided to stop giving the airlines my bags. I now ship by luggage when I fly. I found this incredible company, http://www.lugless.com who will deliver my bags door to door! I never have a problem with my bags since!